In September of 2011 I was in a bad place. I was frustrated, overworked, unhappy, unhealthy and lacking balance in my life. I knew I had to take back control of my personal time, challenge myself and make a major change in my life in order to cope with the stress of a job that I loved, but had outgrown. I didn’t know how…but I knew it had to happen. Fast. Meanwhile, my East Coast friends with seemingly happier lives were running. They were running in all kinds of local races, notably races at Disney parks. As a huge Disney fan, it was these runDisney races that intrigued me. I remember looking at my friend's photos on Facebook thinking, “That would be so fun, but I could never do that. She is a rockstar – I’m not. I can’t run. I’m too fat, too slow and too old to try.” She continued to encourage me to run, but I kept feeding into my own self-doubt. Months later I saw a picture of my high school friend with 3 runDisney medals around his neck: Walt Disney World Half Marathon, Disneyland Half Marathon & the Coast to Coast Challenge Medal. I don’t know if it was the bling or the idea of using the race as an excuse to take our first ever family trip to Walt Disney World, but that very day that I set a goal to earn the runDisney Coast to Coast medal in 2012. With nothing but the support of these 2 friends from over 3,000 miles away & the Jeff Galloway training program – I started running. The path to the Coast to Coast medal (for me) would require completing 2 goals: running the Princess Half Marathon at Walt Disney World in FL and running the Disneyland Half Marathon at Disneyland on September 2nd (which also happened to be my 38th birthday). The first time I went out for a run, using the Galloway method, I ran for 10 seconds of every minute. My pace was over 18:17 minutes per mile. I wondered what I had gotten myself into. Would I ever be able to actually someday run 13.1 miles at the 16mm pace required by Disney? Why did my feet hurt so bad? Why was my back killing me? Who knew you had to have running shoes to run? Why had I never heard of a foam roller!? 10 months later, with hard work and perseverance, I completed the Coast to Coast Challenge. 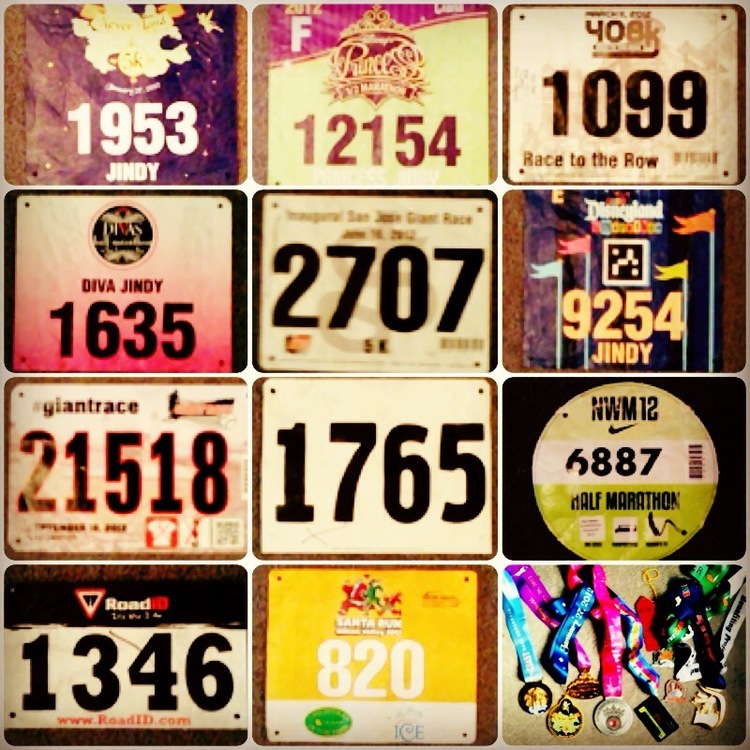 In fact, I went on to enter a total of 11 races in 2012; 4 of which were half marathons. I wrapped up 2012 with a 5K that I finished at a pace of 11:32mm. There was a lot of training, pain (IT Band) and learning that took place along the way, but I did it. People ask me all the time, “Why do you run”? The answer is, “Because, thank God, I can”. It is not easy. It’s not pretty. I'm not fast. I will probably never podium at a race. But I proved to myself that I can run. I proved to myself that the evil voice of self-doubt that likes to whisper “you can’t do this” can be silenced. It just takes effort. Most importantly, rather than just tell my daughter “anything is possible if you set your mind to it”, I actually put it into practice and proved it. I don't consider myself an expert on running, but I am passionate about it. I write about my training and my races here and I hope you dig those posts.